In Canada, we are very familiar with the Remembrance Day poppy - every November, donning a poppy on one’s left lapel remains a significant tradition. The poppy is a symbol of respect and remembrance for the fallen soldiers and veterans. World War I was the world’s first global war - often called “the war to end all wars,” it still remains one of the deadliest wars the world has ever seen. By the end of the first World War, there was a total of 17 million dead and 20 million wounded. According to Veterans Affairs Canada, approximately 650,000 Canadians served in the war, and about 68,000 lost their lives. Exact statistics slightly differ across publications, but it is believed that an estimated 150,000 Canadians were wounded. The Second Battle of Ypres was fought in 1915 between April 22 and May 25, east of the Belgium city of Ypres. This battle was hard fought, but it marked Canada’s first big engagement in the war. The First Canadian Division entered Ypres in April. These soldiers were among the first Canadians to volunteer for the war, and they gained a strong reputation very quickly. During this battle, they were commended internationally for their resilience on the front line, despite multiple gas attacks. Throughout the month, there were 6,500 Canadian casualties - and 2,000 of those were fatal. The poem In Flanders Fields was written in May of 1915 by Lieutenant Colonel John McCrae, who hailed from Guelph, Ontario. His good friend, Lieutenant Alex Helmer, had just died during the Second Battle of Ypres. McCrae was a Medical Officer, and had spent the past few weeks taking care of dying soldiers in the trenches. He wrote letters home to his mother, describing it as a nightmare. He took care of the burial of Alex Helmer himself, noting how quickly the poppies sprouted up around the graves in Flanders. He wrote the earth-shattering poem the next day. Even though McCrae was apparently dissatisfied with the poem initially, the encouragement from other members of his unit led him to submit the poem for publication. McCrae’s poem was published in the December 1915 issue of Punch Magazine. The poem would go on to resonate with millions of people. His words rang true and somber for all those affected by the war. It would grow to be translated in multiple languages, flourishing with worldwide recognition. On November 9th 1918, Georgian teacher Moina Michael came across the poem in a magazine, and it immediately resonated with her. She made a vow to wear a poppy as a symbol of her allegiance and respect for those who fought in the war. That very day she went out and bought silk poppies, pinning one to her coat. For the next 2 years, Michael worked hard at securing the poppy as a symbol of remembrance for the United States. In September of 1920, the National American Legion adopted the Memorial poppy as an official symbol. 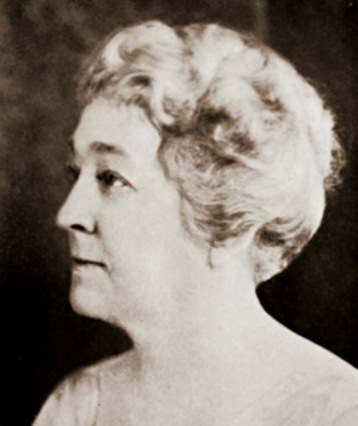 In 1920, a French socialite and novelist named Claudine Guérin de Tencin visited the United States and discovered the custom of wearing poppies to commemorate the fallen soldiers and veterans. She had the idea to create and sell poppies to raise money for impoverished children in France, as many were left orphaned in the destruction of the war. From there on, Guérin travelled all around the world, spreading the important message of the poppy, fighting to have it be an international symbol. Largely due to her tough campaigning, the Great War Veterans’ Association (the predecessor to the Royal Canadian Legion) officially adopted the poppy as its Flower of Remembrance on July 5, 1921. The Great War Veterans’ Association was created in 1917, and was the country’s biggest war association. On November 11, 1918, the Allies and Germany signed an armistice - an agreement to stop the war. It was signed on the eleventh hour of the eleventh day of the eleventh month. This year, in 2018, marks 100 years since the end of the war. Wearing a poppy in November is still an enormously significant tradition in Canada. Although the official day of remembrance differs depending on the country, the poppy is still prominent in other nations that previously belonged to the British Commonwealth, such as New Zealand, the United Kingdom, and Australia. Called The Poppy Campaign, members of Legion Branches all across Canada volunteer to raise money to help assist veterans and their families with things like food and shelter, transportation accommodations, and medical assistance. Poppies can be found in countless banks, grocery stores, Walmarts, and drug stores all across the country. The Legion’s diligence and dedication to this cause is why we see so many red poppies pinned on people’s lapels this time of the year. It is a beautiful sign of respect and solidarity. The Royal Canadian Legion Branch 177 of Little Current will be holding their annual Remembrance Day ceremony on Sunday, November 11.